Need to install power AND low voltage boxes? Try Arlington’s non-metallic combination boxes. The LVDR2 Power and Low Voltage Combo Box is the best way to install power and phone/cable outlets together, in one neat location for existing construction. Side Wall Thickness - 0.090"
Flange Thickness - 0.050" and 0.090"
Why settle for separate and uneven side-by-side boxes when you can have one neat installation? The LVDR2 adjusts to fit walls from 1/4" to 1-1/2” thick in existing construction. As the mounting screws are tightened, the specially designed wings flip up, locking the box firmly in place. The LVDR2 can be used as its own template for cutting the perfect hole in the wall. 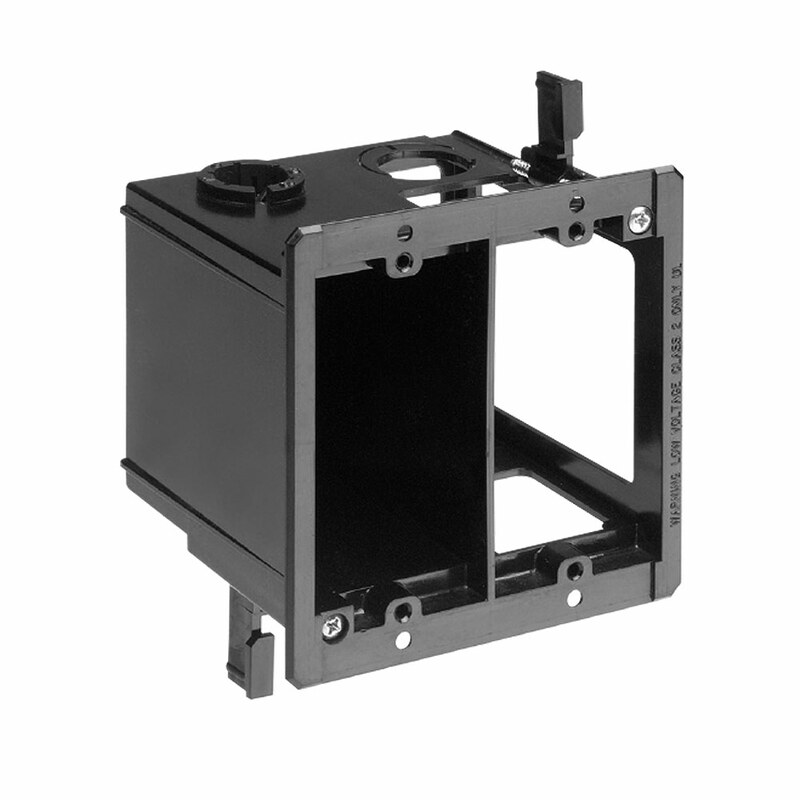 The low-voltage side of the LVDR2, for low-voltage/Class 2 wiring includes combo 1/2" and 3/4” knockouts for easy access to cable raceways. On the power side, a NM cable connector is pre-installed! The LVDR2 protects a cable from damage – and it’s the sturdiest box of its kind. All the strength you need is contained in the lightweight, non-metal construction of the Power and Low Voltage Combo Box. What’s more, the LVDR2 also protects low voltage cable from damage.